Wayson 2002 TR6 What is it? Who is Who? Breaking down the word for meaning. 2 Wayson 2002 TR6 What is it? Who is Who? 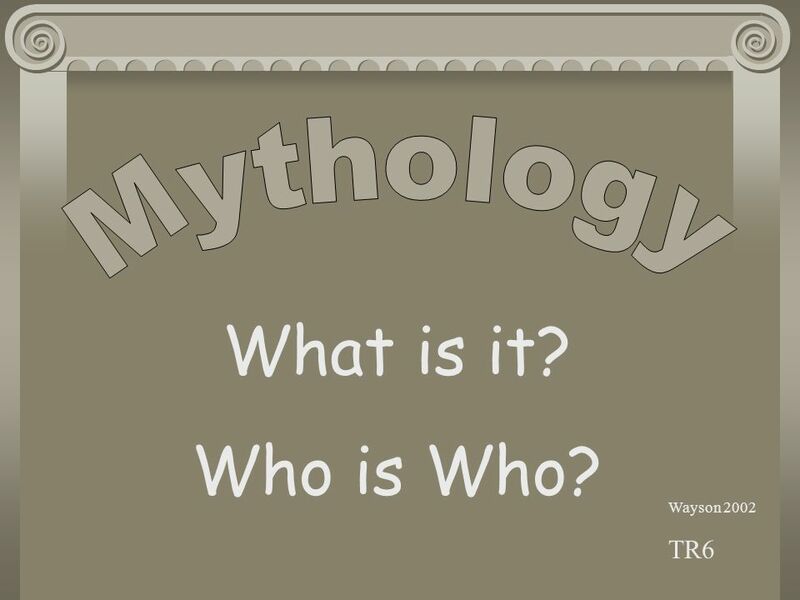 4 What is Mythology? 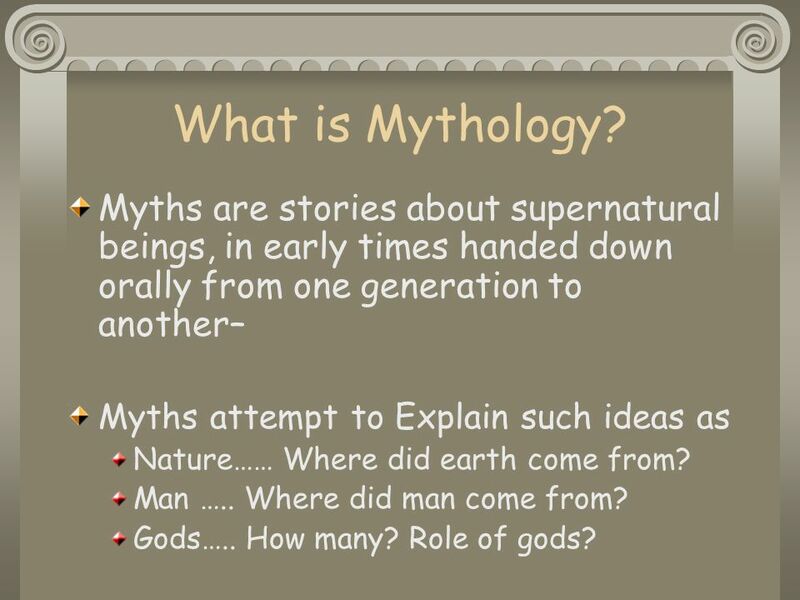 Myths are stories about supernatural beings, in early times handed down orally from one generation to another– Myths attempt to Explain such ideas as Nature…… Where did earth come from? Man ….. Where did man come from? Gods….. How many? Role of gods? 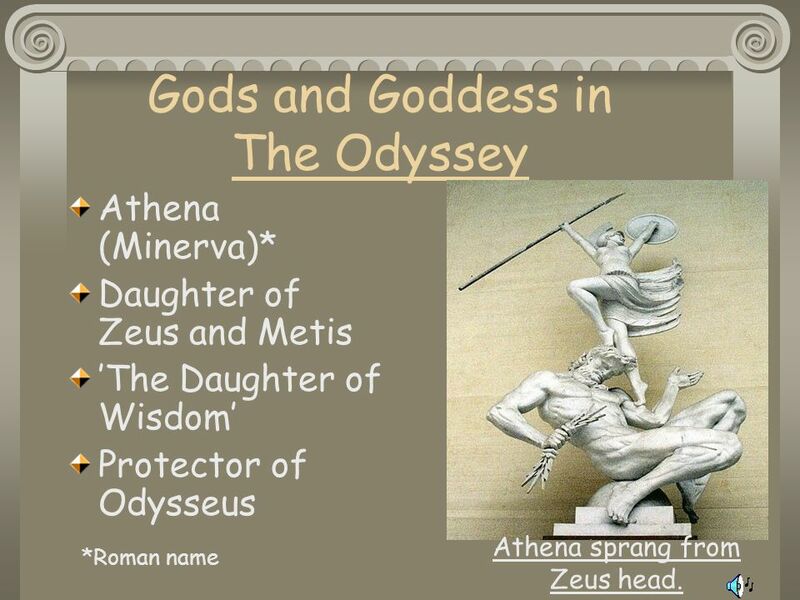 11 Gods and Goddess in The Odyssey Athena (Minerva)* Daughter of Zeus and Metis The Daughter of Wisdom Protector of Odysseus *Roman name Athena sprang from Zeus head. 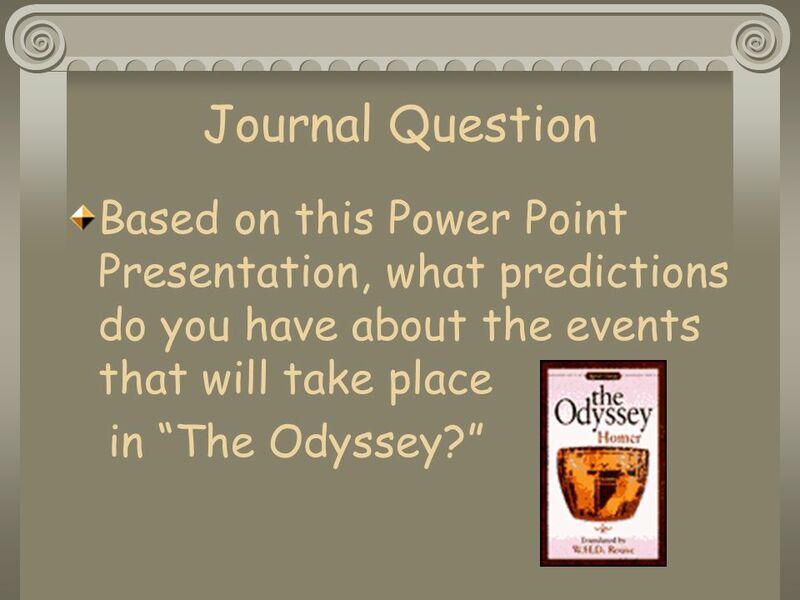 13 Journal Question Based on this Power Point Presentation, what predictions do you have about the events that will take place in The Odyssey? Download ppt "Wayson 2002 TR6 What is it? Who is Who? 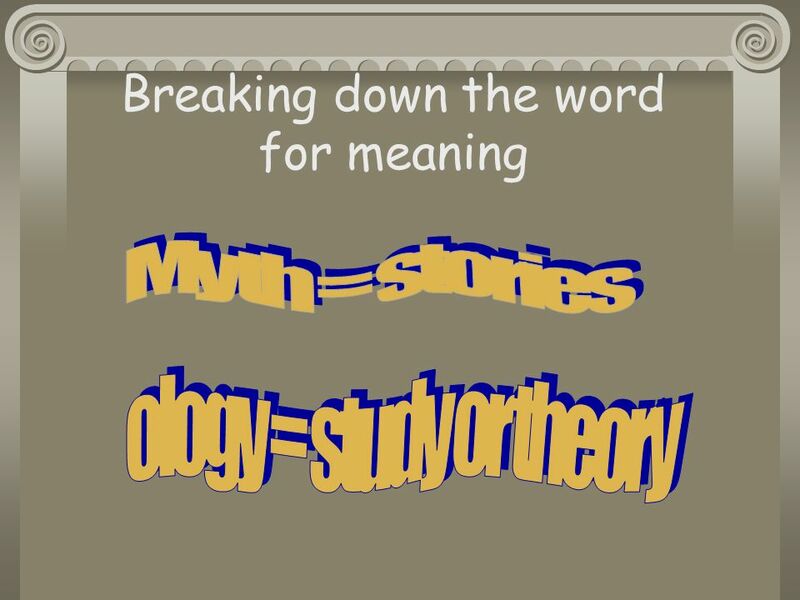 Breaking down the word for meaning." 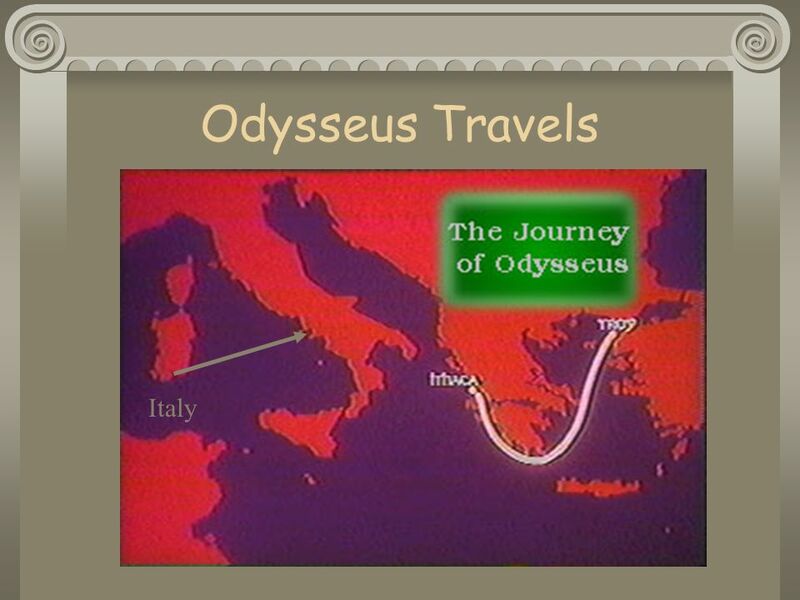 An Introduction to… Greek Mythology & “The Odyssey” 1. 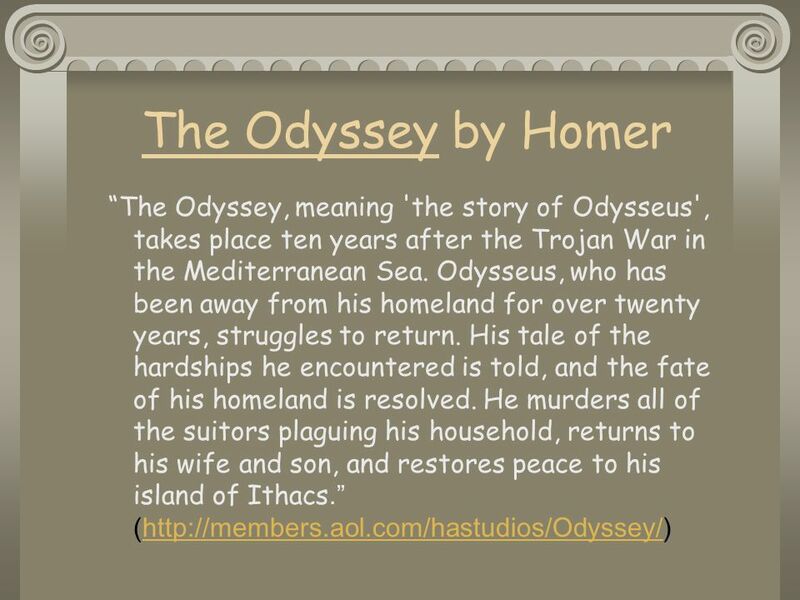 Mrs. Blaber Grade 9 English  800 – 600 BC by Homer  Best known, stupendously awesome works of ancient literature  Ancient epic delivered first in. 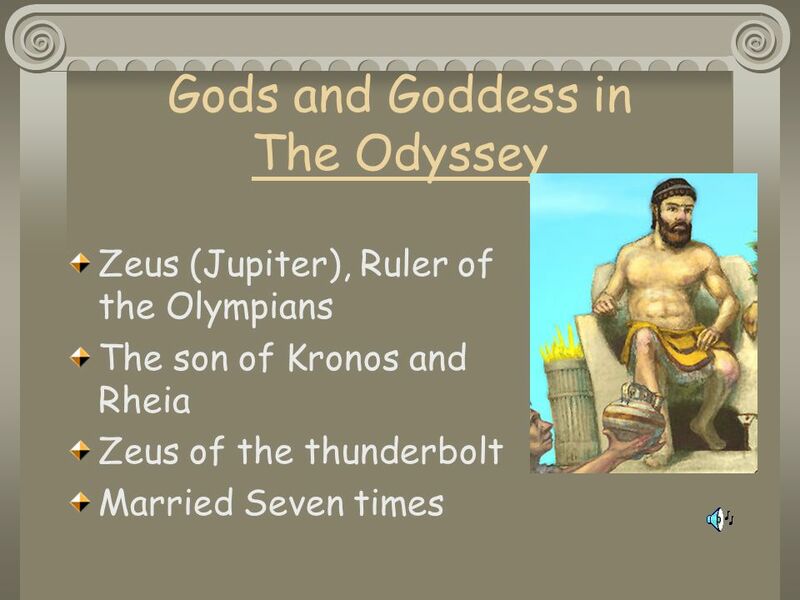 The Odyssey, Greek Mythology, and Classicism Objectives: Understand a classic epic poem, understand an epic hero, understand the culture in which the literature. Greek Mythology and the Modern World. Mythology in Business Hundreds of companies take their name, logo, or slogans from mythology. Greek Mythology in the Modern World. 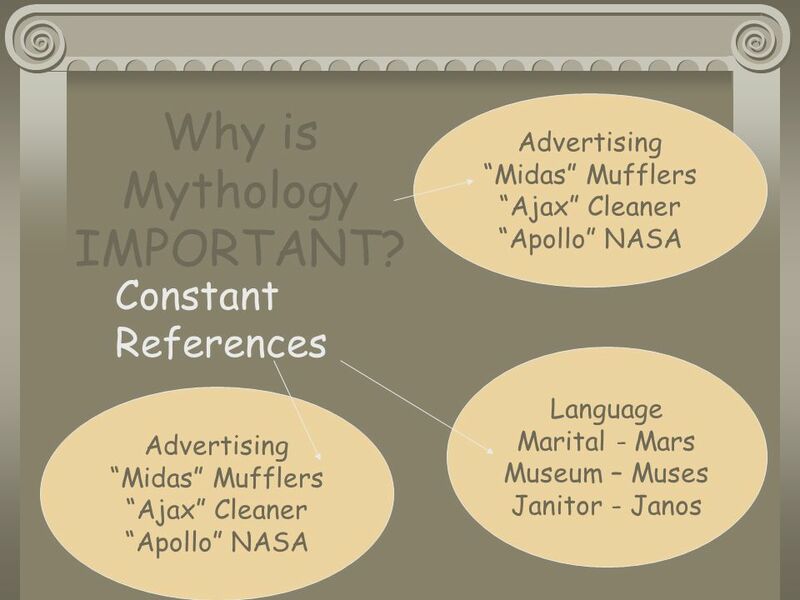 Mythology in Business Hundreds of companies take their name, logo, or slogans from mythology. Homework Question  Copy this down on a sheet of lined paper and answer it as homework. If you kept it, attach the map you made when we first started reading. 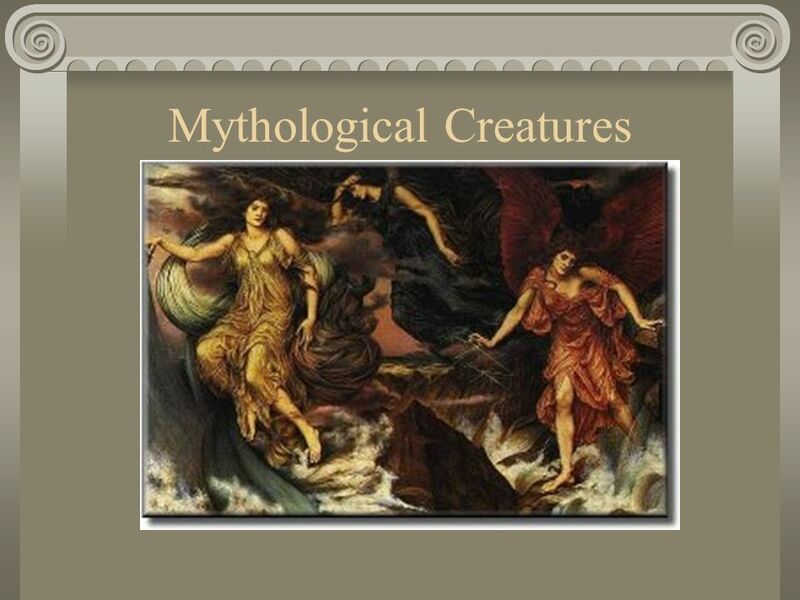 What do you know about Greek Mythology? 1____________________________________ ___________________________ 2____________________________________ ___________________________. Greek Mythology: The Titans vs. The Olympians February 8, 2010. Greek Mythology Copyright © Clara Kim All rights reserved. Myths Stories From the Beginning of Time. 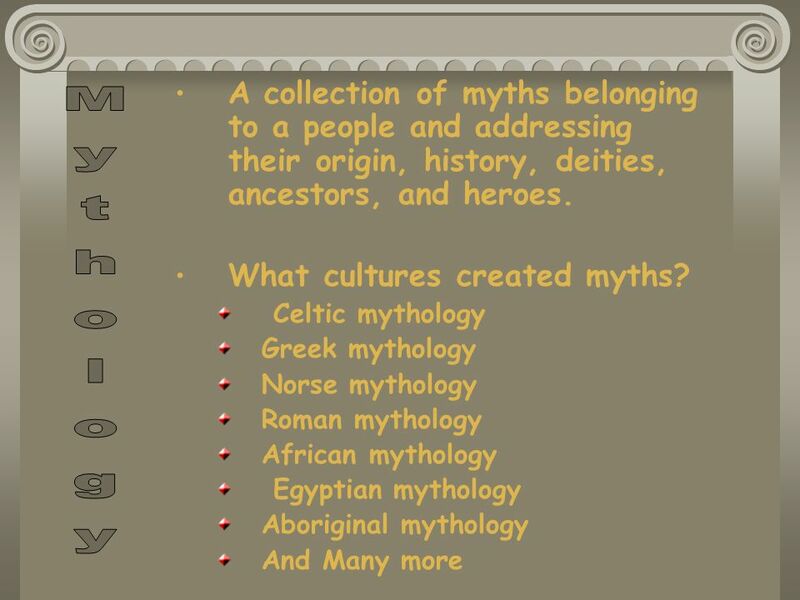 What is a myth?  An ancient story dealing with supernatural beings, ancestors, and heroes.  It explains the. Early People of the Aegean. Key Terms Shrine Fresco Strait. 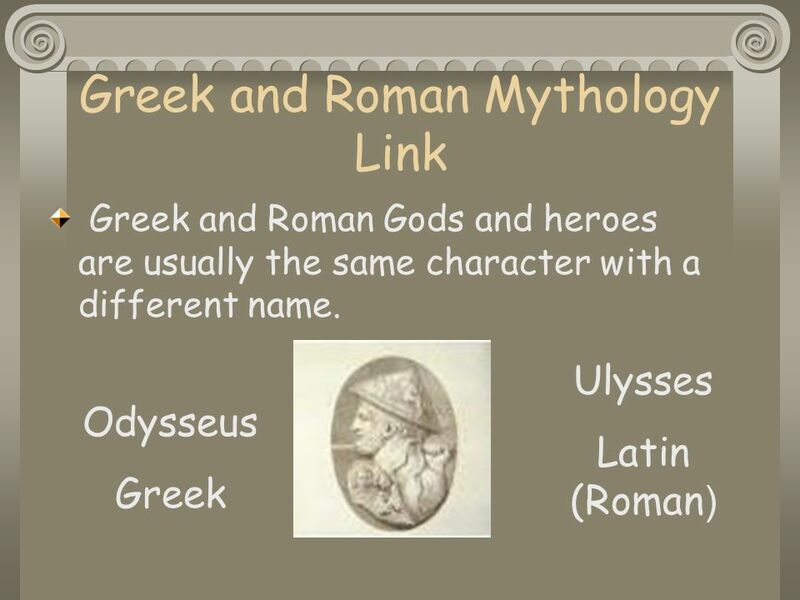 Mythology Notes Greek vs. Roman Gods. Greek Culture and History: Epics and the Epic Hero.